I love when my alpaca fiber comes back from the mill. It really is ‘Christmas in August’! I use Shepherd’s Mill in Phillipsburg, Kansas and have done for many years now. Sally Brandon and her team do a great job. 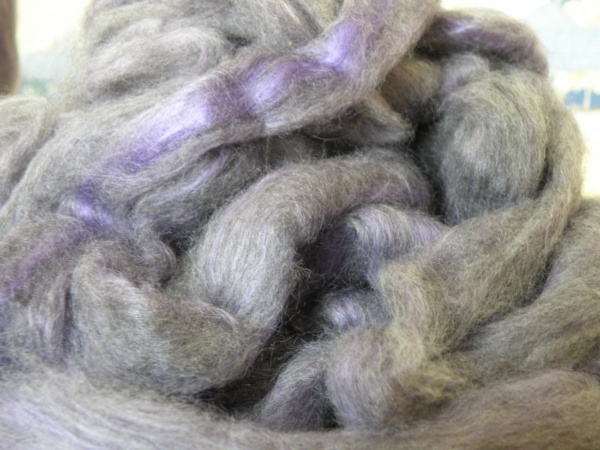 When I first started to process my alpaca fiber, I chose to have 100% alpaca yarn and roving. After all, alpaca fiber is wonderful to work with on its own. It has a large range of natural colors from white, through the fawns, browns and grays, to black. Then I discovered that if you blended alpaca with some of the other natural fibers such as silk or bamboo, you could further enhance its natural properties. Although I continued to have 100% alpaca yarn, I also added blends with 10 – 20% silk, bamboo or tencel. These other fibers add a sheen to the alpaca and further enhance the handle. 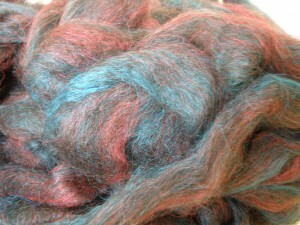 I love the natural colors of alpaca but I also like bright colors, as do many knitters and spinners. 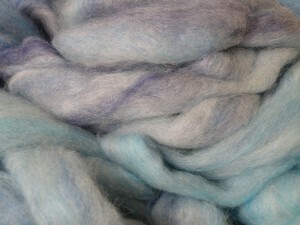 A few years ago Sally suggested that I try adding dyed bamboo or merino to some of my fiber. I loved the results, and have been experimenting each year since. 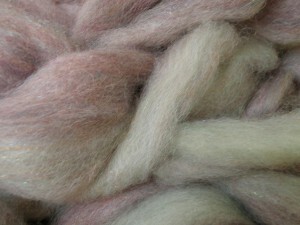 When possible I like to deliver my fleece to the mill and then I can see the different colors available for blending. I usually use more than one color in a batch and often more than one blending fiber such as merino and silk or bamboo and merino. I prefer to keep the percentage of alpaca to 50% and higher. When you use wool with alpaca it’s important to choose a wool breed with the same grade or micron range as the alpaca. My wool of choice with my fine alpaca is merino, although I have also used fine Shetland top which I ordered directly from Shetland. I use synthetic fibers very sparingly but something like ‘firestar’ can add some bling to the end result. After opening my boxes of fiber this year I am very pleased with the results!